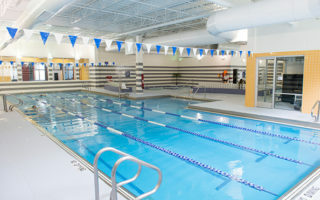 Our Aquatics Department offers both members and non-members a variety of indoor swimming classes and programs for all skill levels. 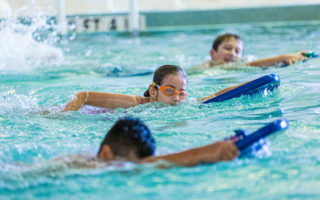 Whether you are an experienced swimmer or are just getting comfortable with the water, MVP Athletic Club has the perfect program for you! 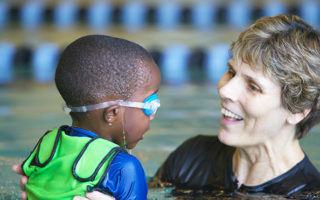 This American Red Cross parent participation class is designed for ages 6-36 months. The program concentrates on training in the technical and tactical components as well as the mental and physiological aspects of swimming. 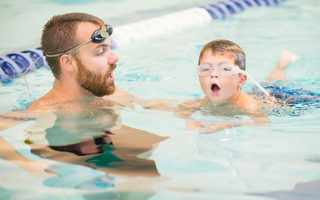 Private lessons with a certified swim instructor is perfect for those wanting one-on-one instruction. We offer year-round Red Cross certification courses including Lifeguard Certification, CPR and more! 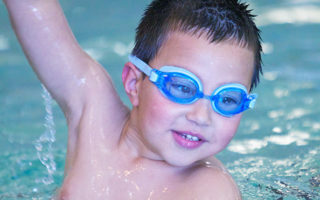 Check out our pool schedule for the latest availability!